Doug Anderson has been living a double life. While at home, he portrays a good son who goes to church and doesn’t drink or do drugs. While at college, Doug has a gorgeous girlfriend that sleeps over and friends that party hard. Doug’s father feels he is to blame for the rift between father and son. Doug feels like he can never live up to his parents’ expectations and all their religious rules. Christina, a family friend, can’t ignore what she’s been seeing on social media about Doug and who he’s hanging out with. When Doug’s double life is discovered, everything starts to spiral out of control. Can Doug find his way back as the Prodigal Son did? 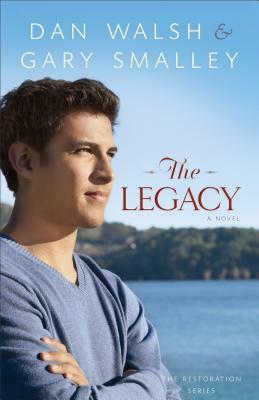 Can his father make the right decisions regarding Doug’s life choices? Can Christina find a way to bring him back to his faith? While I’ve never read anything by Dan Walsh, I have read some books by Gary Smalley and love his writing and insight. I was disappointed by this story though but that could be because this is the fourth book in a series that I’m unfamiliar with. They jump into the story and characters with very little introduction. I had a hard time connecting with Christina and Doug as characters. Doug’s father’s choices also grated on me as I yelled at him through the pages. Obviously, I have a different perspective of how the tense situations should have been handled, but he made me so frustrated. I finally did enjoy the last third of the story enough to grant it 3 stars but unfortunately, the story really felt like it was missing something and didn’t really hook me in the beginning. The book gets 3 stars because despite its faults, it is still a story that needs to be told and I loved the ending.